Are you currently renting your apartment? In many parts of Rancho Cucamonga, Upland, Ontario, Fontana, and surrounding communities, one months rent is approximately a mortgage payment! 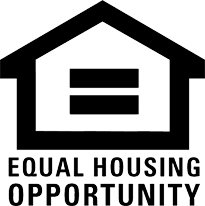 Why not invest in yourself and build equity, rather than investing in your landlord’s wealth? What Down Payment Assistance Programs Exist? There are several programs out there for you in California. Down payment assistance helps out with the upfront costs of buying a home. How Can I Receive Down Payment Assistance? There is a process behind applying for a down payment assistance program. If you are seeking down payment assistance in Rancho Cucamonga, Upland, Ontario, Fontana, and surrounding communities. Contact us at (951) 675-0257 or fill out the form on this page to discuss down payment assistance and approval today.